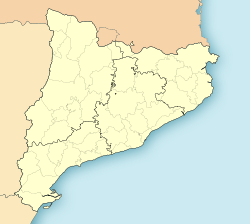 Vallbona d'Anoia is a municipality in the comarca o the Anoia in Catalonie, Spain. It is situatit tae the left o the Anoia river, on the road atween Piera an Capellades. The toun is servit bi a station on the FGC railwey line R6 frae Barcelona an Martorell tae Igualada.